Every year since the tragic death of his wife, Detective Kimmo Joentaa has prepared for the isolation of Christmas with a glass of milk and a bottle of vodka to arm himself against the harsh Finnish winter. However, this year events take an unexpected turn when a young woman turns up on his doorstep. Not long afterwards two men are found murdered, one of whom is Joentaa's colleague, a forensic pathologist. When it becomes clear that both victims had recently been guests on Finland's most famous talk show, Kimmo is called upon to use all his powers of intuition and instinct to solve the case. 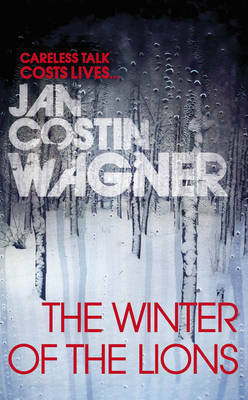 Meanwhile the killer is lying in wait, ready to strike again...In Kimmo Joentaa, prizewinning author Jan Costin Wagner has created a lonely hero in the Philip Marlowe mould, who uses his unusual gifts for psychological insight to delve deep inside the minds of the criminals he pursues.